Maybe I should have title this entry “R&R Mode Is Expensive”. I’m not sure which would be accurate. Since we started on this journey in January 2012, our coming back to Texas for a stay has been costly for us. We came back to Texas so we could get our annual physicals and of course visit family and friends. Just like October/November 2012, we are between workamping jobs, we stayed at Potters Creek before coming to Corpus Christi, and we are staying at Sea Breeze RV. We passed our physicals with flying colors and are good to go for another year. We also got eye exams, new glasses and had our hearing aids cleaned and checked.We also traded the car we bought in 2012 for a more suitable vehicle that we can easily tow behind the motor home. 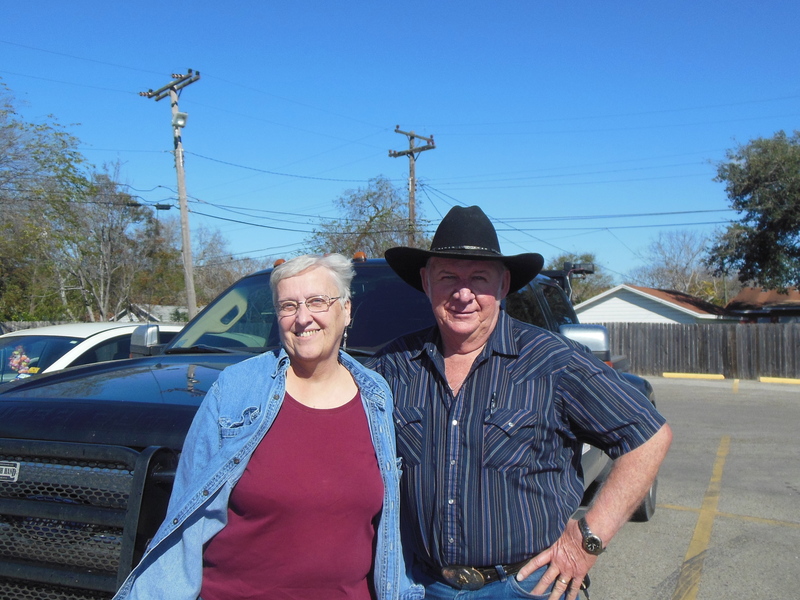 We had an opportunity to meet Phyllis and Len as they were headed to the Rio Grande Valley.I have been reading their blog The Easts Head West for some time. It is always good to meet folks along the way – especially those I follow by their blog. We had a great visit and enjoyed the extended time visiting friends in the area. It is now time to say ‘So long Corpus Christi.’ as we head to our next stop on this journey. Hey, I like the new wheels! So glad you got to spend time with Phyllis and Len. They boondocked a couple of nights with us a couple of years ago and we so enjoyed having them here. They are a hoot. I would love to work on a project team with them. Stay warm in NJ. Spring is around the corner. Hey – thanks for calling us a hoot. I take that as a compliment. Nice looking car there – glad to read you and Ford could reach an agreement. Phyllis, It is always good to meet folks face-to-face. Calling you guys a hoot was definitely a compliment. At the Ford dealership, we actually worked up a deal on a Chevy Equinox that was on an affiliate’s lot. When they called to get the Chevy, we found out it had been sold. So we started over. A couple of days later, they called to let us know the Fiord Edge came in on a trade. After driving it, we closed the deal before anyone else had a chance to get it. 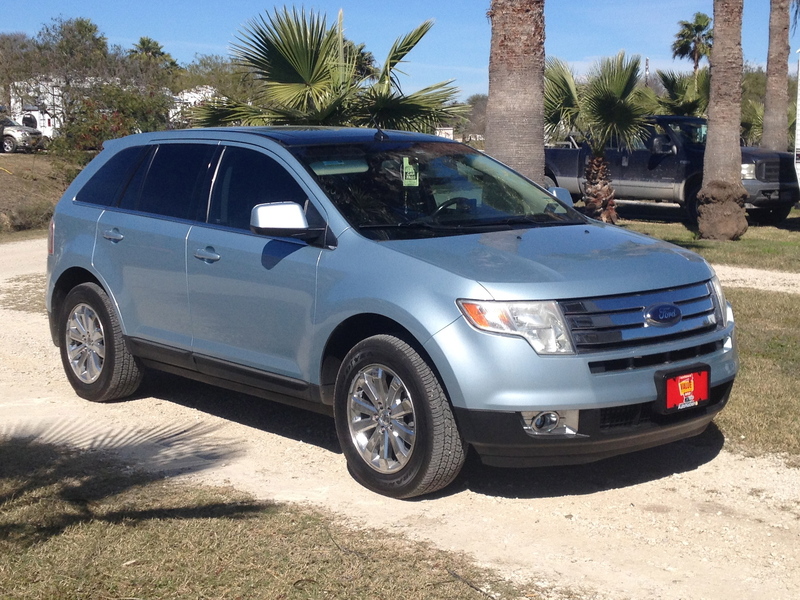 Turns out we got a better car with the Ford Edge than we would have had with the Chevy. God is good.